I am currently Troubadour of the Hills for Ledbury Poetry Festival, a kind of roaming poet on the Malverns, leading walks and workshops, encouraging poets everywhere to contribute to poems of hills, which are being published now on the LPF website. And I’m delighted to say my second collection How Time is in Fields will be forthcoming in 2019 from Indigo Dreams Press. My poetry has appeared in The Rialto, The Interpreter’s House, Firth, Lighthouse, Agenda, Magma, Ambit, Poetry Salzburg Review, The North, Envoi, ArtemisPOETRY, Earthlines, The Moth, Under The Radar, Bare Fiction, Poetry Ireland Review, Dark Mountain, New Writing Scotland, Pushing Out The Boat, Northwords Now, Acumen, Atrium and others. Read Grass Verge Near Soissons published on Ink, Sweat and Tears here and Lost and Found in the Palacio de Pena published by And Other Poems here. In 2015 my commissioned poem Bread Generations was featured on Radio 4’s ethical and religious discussion programme Something Understood. My first collection Not Lost Since Last Time was published by Oversteps Books in 2013 and launched at StAnza International Poetry Festival. In 2008, I won the Dartington Hall Ways With Words Poetry Competition, in 2009 won both the Torbay Open Poetry Prize and the Ravenglass Poetry Press Competition, and in 2010 was a winner in both the Mirehouse Poetry Competition and the Elmet Poetry Prize. In 2011 my pamphlet from Roncadora Press, ‘Lost at Sea’ was shortlisted for the Callum Macdonald Memorial Prize. I was shortlisted for the Magma Poetry Prize 2012, and Commended in the William Soutar Prize 2013. In 2015 I was Highly Commended in the Bristol Poetry Prize, 3rd in the Prole Laureate Prize, shortlisted for the prestigious Keats-Shelley Award, Commended in Battered Moons and winner of the Fire River Poets Open Competition. In 2019 my poem ‘The Anchorite and the Solid Sky’ came 2nd in the WoLF Poetry Competition, judged by Roy McFarlane. My poetry has been anthologised by Worple Press, Vanguard Poetry, Sidekick Books, Candlestick Press, Second Light Press, Grey Hen Press, Cinnamon Press and Fair Acre Press. I’ve contributed to six publications so far from Beautiful Dragons Press. I’ve read at Shore Poets in Edinburgh, Wigtown Book Festival 2012 and 2013, StAnza International Poetry Festival 2013, Wenlock Poetry Festival 2013 and Dartington Hall Ways With Words Festival 2013. 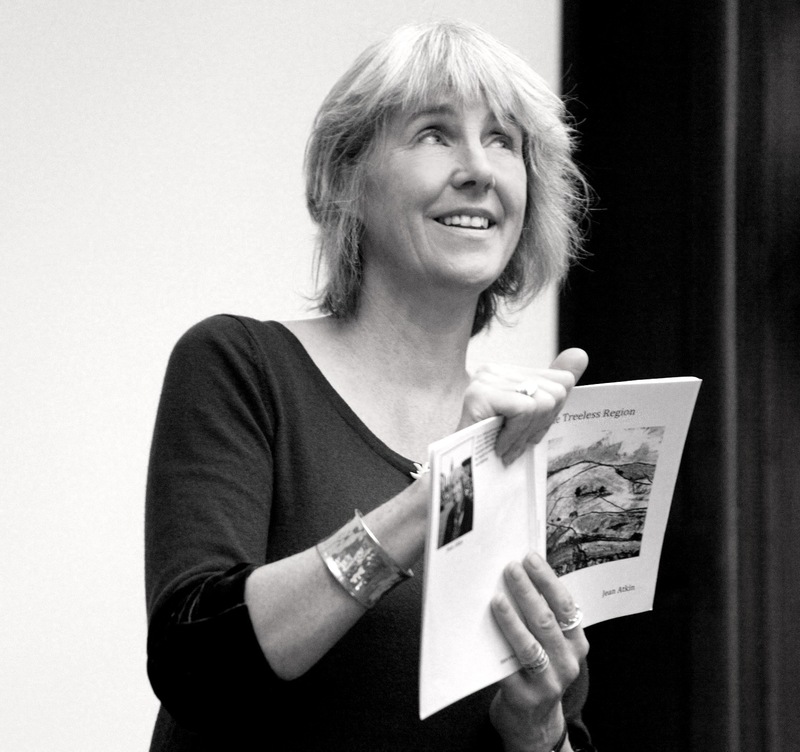 In 2014 I read at Wenlock Poetry Festival and Ledbury Poetry Festival. In 2015 I was Poet in Residence for Wenlock Poetry Festival, and read at the Finale event with Carol Ann Duffy and Imtiaz Dharker. I also performed at Cheltenham Poetry Festival, and in 2016 at Welshpool and Swindon Poetry Festivals. Read ‘What’s Human’, which was included in the tenth issue of Best Scottish Poems, an online selection of twenty of the best poems by Scottish poets to appear in books, pamphlets and literary magazines during 2013. I’m a member of Writing West Midland’s writer development programme, Room 204 and of Border Poets. On the first Tuesday of every other month, I organise The Poetry Lounge in The Sitting Room in Ludlow – an open mic with guest poets. So pleased to have stumbled on your thought provoking poetry Jean. Beautiful! Stunning achievements but far more impressive that I actually love your poetry. Many who are linked in and published and preferred aren’t more than popular and their success lies in that game – but your work is actually wonderful, irrespective of how many prizes you did or did not win.